Hi, I've gotten this message several times and so I've had to switch to chrome or fox... 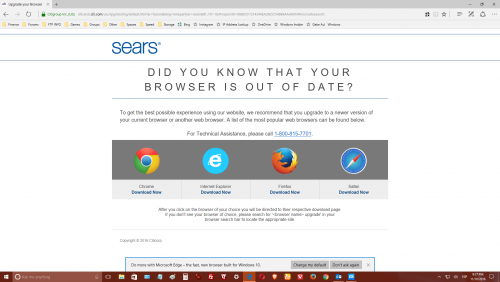 I use Chase.com for banking and so it is real drag to be using Maxthon and then have to switch browsers. Is there anything that can be done about this? They try to do it by any means, do not let them irritate you. To look at us all means are right for them.The browser is hyper-modern, and because they can not classify it, they make it bad. Either upgrade to the latest version of Maxthon 5 or switch to Retro Mode and it will be remembered every time you go to Chase. I use Chase also. Use No.1's suggestions or change the UA as noted above, if you like. And I've tried on latest MX5, it supports the website fine. Hi, did the change to retro mode and it works fine. But I'm using the latest version 5.0.1.3000. I don't see what Maxthon can do in this situation. Either not adding the Maxthon string in the UA (which they probably won't want to do). Or somehow having a special spoof list for certain websites where the browser sends a different UA (without the Maxthon part) for those sites. Clicking the continue link underneath leads to the site which seems to work... at least loads properly. But still I'll forward this link to our testers for them to see if there is any solution to it. I'm having the same problem with Searscard.com. I use Chase.com too, but there is no problem with Chase.com in MX5 for me. 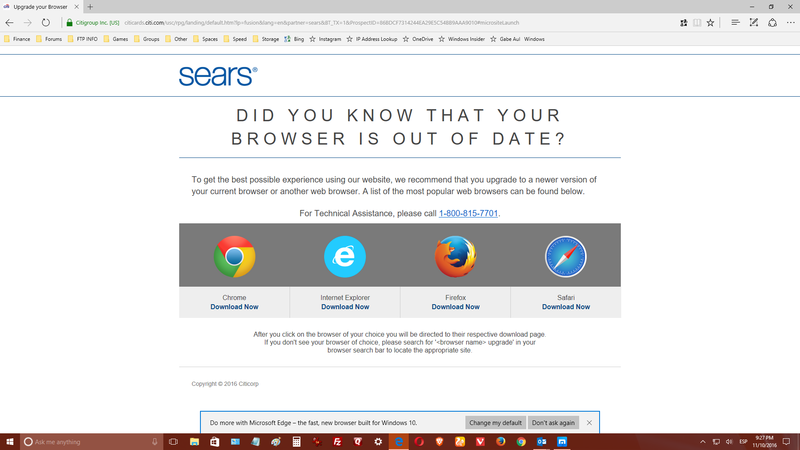 When I need to log into Searscard.com, I need to use Edge. 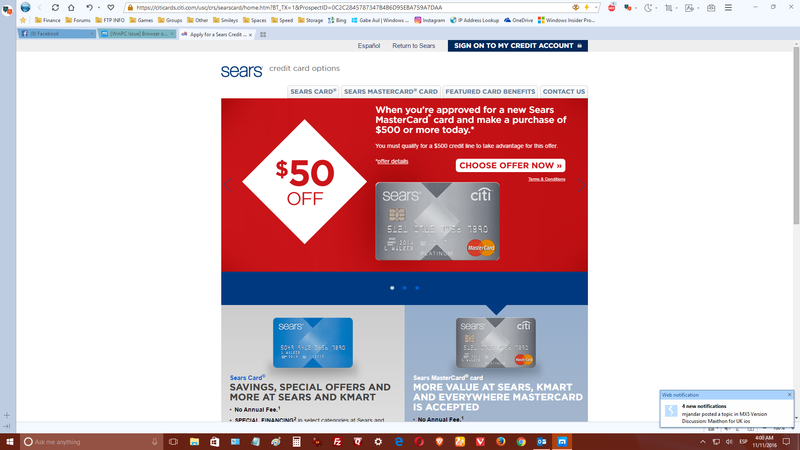 And there is no Continue link @ the bottom of the page @ Searscard.com. I'm having the same problem with Searscard.com. 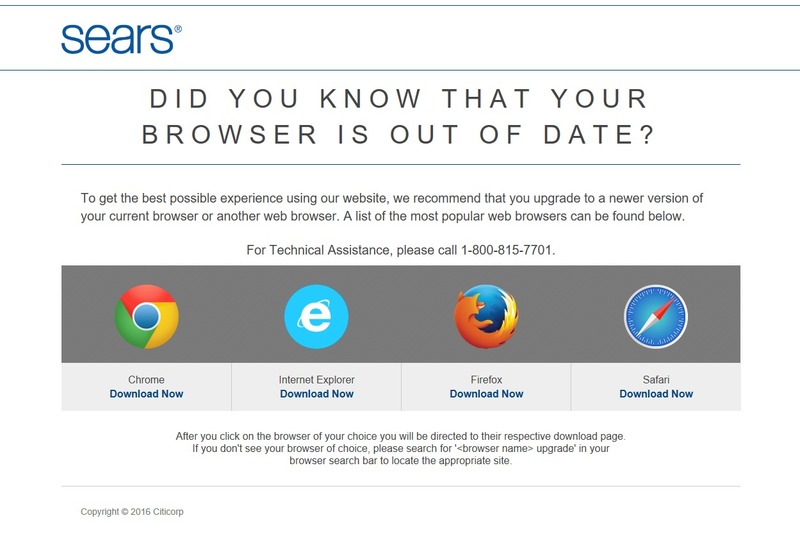 As in an "outdated browser" error? Going to Searscard.com noted there is no error. Or is it only once you've tried to log in? This is the screenshot I got, and yes it's once I log in. Also the same problem on Edge, Brave, UC Browser and Vivaldi. On my computer, the only other browser I use is Edge, and I don't have this problem with it. That's why I use Edge to log into https://citicards.citi.com. I'm using Windows 10. 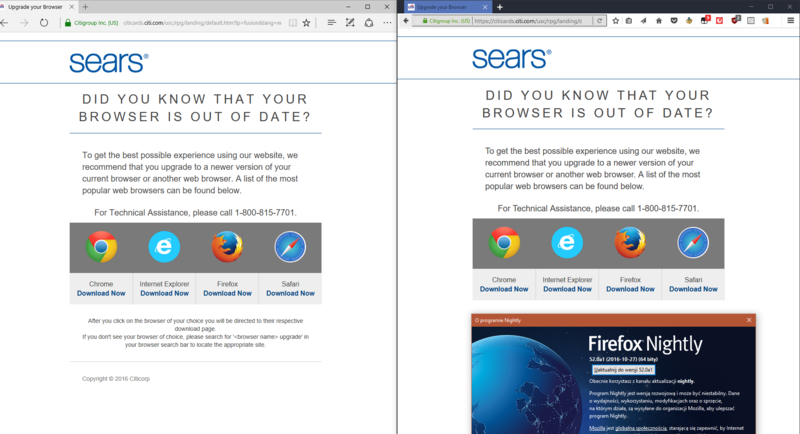 On my computer, the only other browser I use is Edge, and I don't have this problem with it. Is https://citicards.citi.com/usc/rpg/landing/default.htm?lp=fusion&lang=en&partner=sears&BT_TX=1&ProspectID=86BDCF7314244EA29E5C54BB9AAA9010#micrositeLaunch the actual link you use to get to the page? Seems like an odd link for landing page, and i'm thinking might actually be the error page link instead. Hmmm, well that's going to be hard to try and determine the issue. 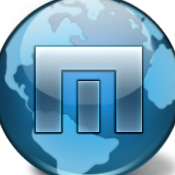 Try removing Maxthon/5.x from the user agent and see if that helps at all. Try retro mode as well. This seems to be the correct URL for that site: https://citicards.citi.com/usc/crs/searscard/home.htm?BT_TX=1&ProspectID=0C2C2845787347B4B6D95EBA759A7DAA and it works properly in Maxthon 5. How do you implement retro mode? I'll try that link when I get on my PC, I'm on my cell phone right now. Thank you, MaxthonFan. Not sure about that. OP is talking about logging in, and that seems just like some generic page to sell you a new credit card. Would rather get confirmation from the OP of the actual link used to access the login page. But as stated above, if the issue manifests itself only after logging in, it's going to be hard to determine the issue without him doing most of the groundwork. 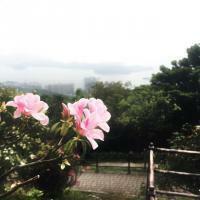 @7twentyIn Maxthonluvr's original post that is what he posted. And if you look at the top right, it has a link to "Sign on to my credit account"
Yes, I was able to log into my account with MX5 with the link No.1MaxthonFan posted. Thanks guys, now I know how to do that.